April 23, 2016 at California Institute of Integral Studies in San Francisco, CA. A panel of four women in the surf industry gathered for a two-hour conversation moderated by Margaret Seelie. Clips from this conversation appear in the surf film It Ain't Pretty. Julie Cox was a team rider for Roxy for eight years, during which time she competed around the world. In the Women's Longboard Tour, Julie placed fifth in the world three years running. She was the Director of the California Surf Museum, a non-profit organization dedicated to preserving surfing heritage. She also launched The Jule Collection, a line of women's surfboards, with shaper Jed Noll. 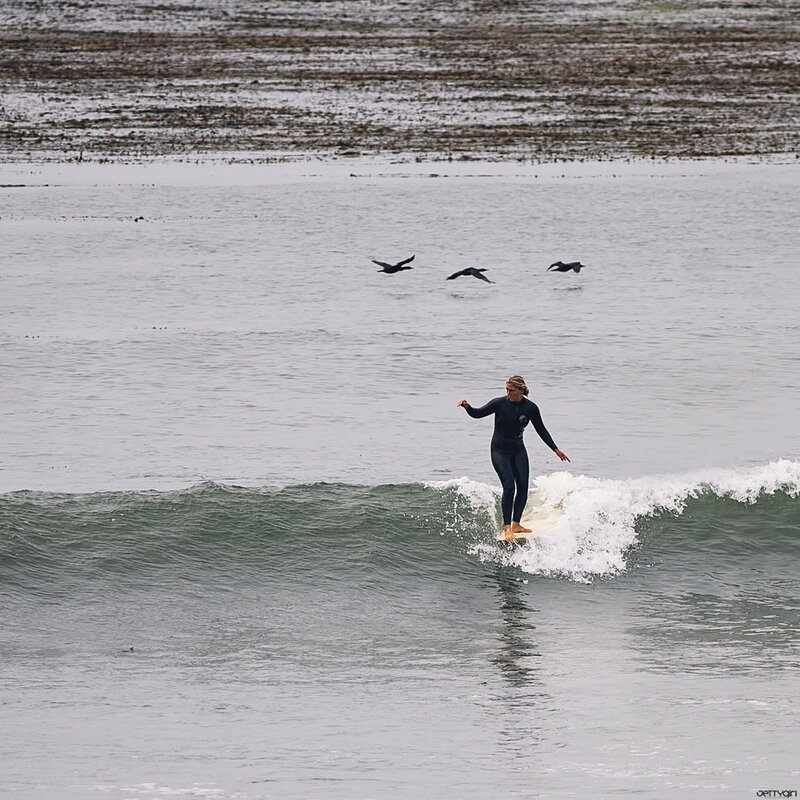 Currently, she gives surf lessons locally and abroad, and manages Mollusk Surf Shop.